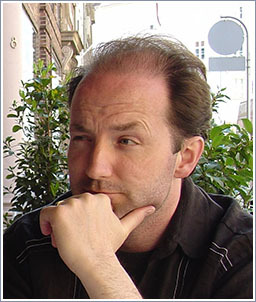 Michael Sinding is a Fellow at the Erlangen Centre for Literature and Natural Science (ELINAS) at Friedrich-Alexander Universität Erlangen-Nürnberg. He has held fellowships in Amsterdam, Osnabrück, Giessen, and Ontario. He studies cognitive approaches to literary and cultural forms, particularly genre, metaphor and narrative in 18th century culture. He is the author of Body of Vision: Northrop Frye and the Poetics of Mind (2014), and has published articles in journals such as Narrative, Poetics Today, SubStance, New Literary History, The Wallace Stevens Journal, Semiotica, Style and Genre, and collections such as Northrop Frye: New Directions from Old, Northrop Frye 100: A Danubian Perspective, Cognitive Literary Studies, Beyond Cognitive Metaphor Theory, Blending and the Study of Narrative, Cognition, Literature, and History, and Warring With Words.